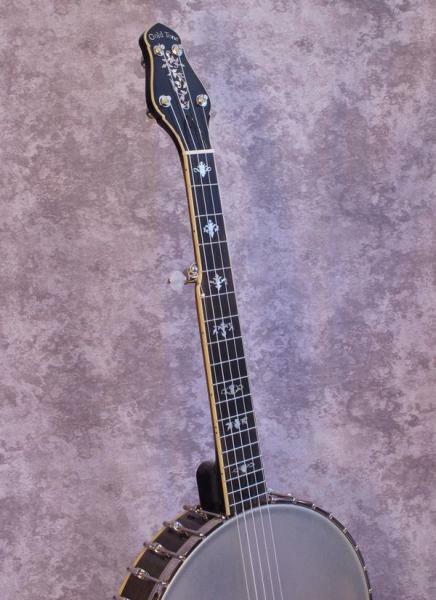 Put a huge 14" pot on a banjo and add massive nylon strings and, "cell-o", you have the CEB-5 cello banjo. 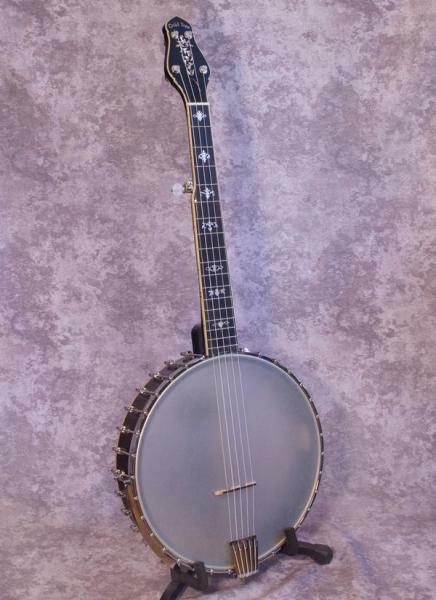 Originally used in turn of the century banjo orchestras, this unique banjo just has to be played to be believed! Rolled brass tone ring, Maple rim and neck, "hot dog' arm rest, comes with a hardshell case.